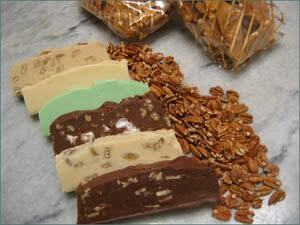 A six month subscription to the Fudge of the Month Club from the Mackinac Fudge Shop of St. Ignance, Michigan. For six months, you get a monthly 1 1/2 lb. selection of the fudge that made Mackinac famous.